Early Registration through March 24, 2017! 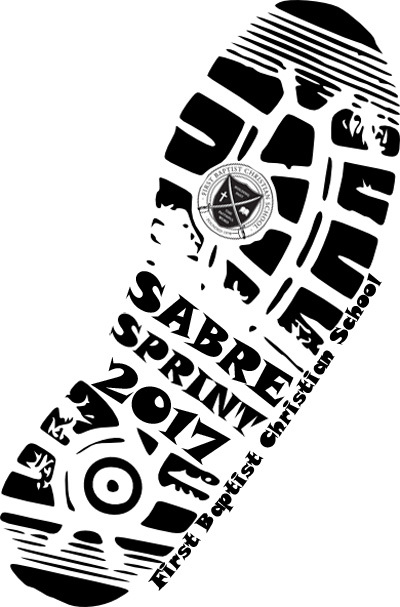 5K/10K Early Registrations (by March 24) will receive an official Sabre Sprint performance tee (adult) or t-shirt (youth). Registrants after March 24 will be able to purchase a shirt through April 14th. After April 14th, additional shirts may be available, while supplies last. The Sabre Sprint will begin at FBCS (11400 Lagrange Rd., Elyria), heading west on Butternut Ridge Rd. on a marked course. Each registered runner (5K/10K only) will be timed. Medals will be awarded in each age bracket (5K/10K only) for the fastest runner. A Pancake Breakfast (by donation) will be held during and after the race.